We hope everyone is having a successful exam period – the Fall term is almost complete! This is a reminder to clear all outstanding fines and return overdue items by as soon as possible to ensure access to grades over the holiday break. Head to the renewals page to see if you have overdue items or fines greater than $10. Students with fines greater than $10 will not be able to view their grades until their accounts are cleared. All fines can be paid to the Library at the Circulation Desk, either by cash, debit, VISA, MasterCard, American Express or with your Ryerson OneCard. The Library also accepts payment by VISA, MasterCard, and American Express by phone – please call 416-979-5055 and select option 2. 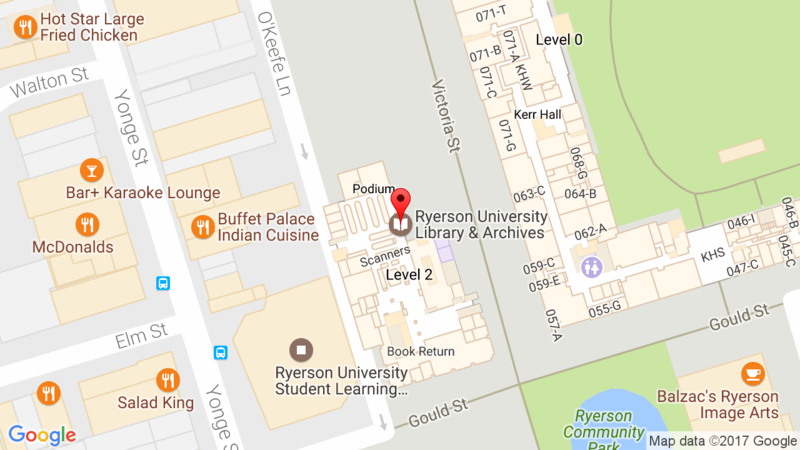 If you have questions or concerns, please contact the Library Circulation Desk by email at access@ryerson.ca or by phone at 416-979-5055. Please note that the Library will operate on reduced hours starting Saturday, December 16th. Check the Library website for all of our hours over the next two weeks. The university and the Library will be closed from Saturday, December 23 – Sunday, January 7. This entry was posted in News by Cecile. Bookmark the permalink.